Ladybug's Teacher Files is hosting a School Year Successes Linky Party. I'll have to say that this Linky Party really made me think about this year and what I would consider my biggest success. This has been my first year teaching in a public school (I taught preK in a private center before) and my first year teaching special education in a resource room. Most of the time, I felt like I had just as much to learn as my students. There's definitely a huge learning curve to being a new teacher. All of my students have made academic progress and learning gains, but I would have to say that I feel like the most successful part of the year is watching one of my students with autism improve his social interactions with others. This student is melt-your-heart sweet and adorable. Oh, I love him to death. He tries so hard every day and ALWAYS has the greatest attitude. At the beginning of the year, he would only speak to me inside my classroom. If I saw him in the hallway (even if we were both walking into my classroom), he wouldn't speak to me until we were both in the classroom. Just a few weeks ago, I was on the playground looking for another student when this student spotted me and yelled hello at me all on his own! OMgosh, I couldn't have been more thrilled. But the biggest success was when he started really building friendships with some of other boys in my class. He has really taken a liking to one of my 3rd graders. The 2 of them always come into my classroom in the afternoon. My student with autism has started asking for his friend if he's not there yet. They've developed this game where they make scary faces at each other. I don't get it, but I don't care! They're connecting. Then they started telling each other knock-knock jokes. It's seriously the highlight of my day. I know the picture isn't fabulous, but you can't expect much from an Iphone picture. I wish I had videotaped the boys excitement with this game. They were super excited and didn't care one bit that they had to read words with the 'ar' sound to play the game. 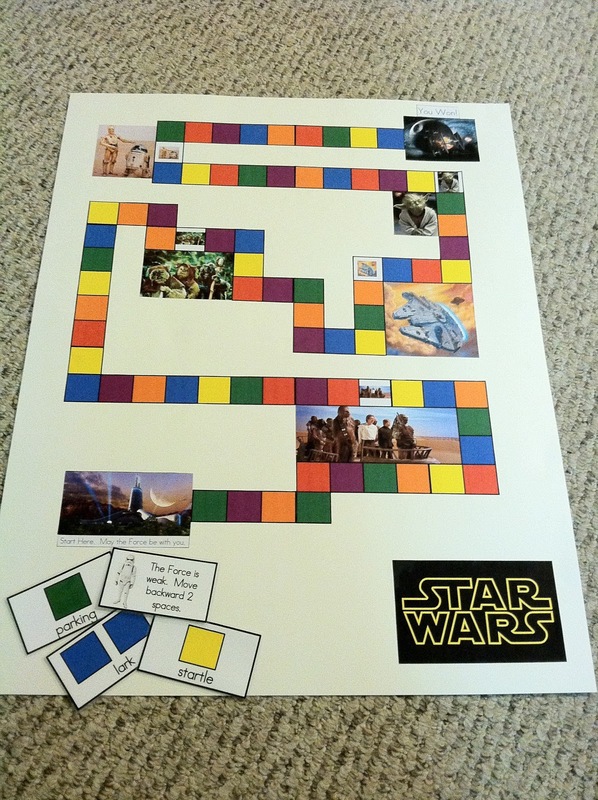 The only disappointment was that I apparently picked the wrong picture of Luke Skywalker to be on the playing piece (not seen in the picture). I MUST get that fixed over spring break! 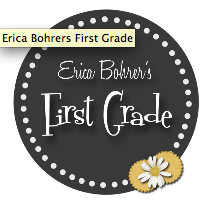 One of my favorite blogs that I regularly stalk is Erica Bohrer's First Grade. 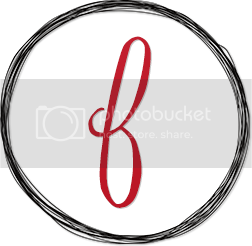 If you haven't been by her blog, you should definitely check it out, which you can do so by clicking below. I recently bought her Reading Comprehension Cue Cards off of TPT, which you can find here. She did a fabulous job with pairing illustrations to the questions. Currently, Erica is hosting a great giveaway. 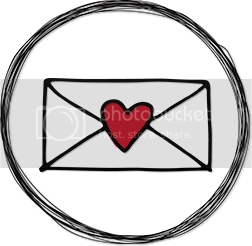 One lucky winner will win a $20 gift certificate to Whimsy Doodle Graphics. This was my first time visiting their site and fell in love. 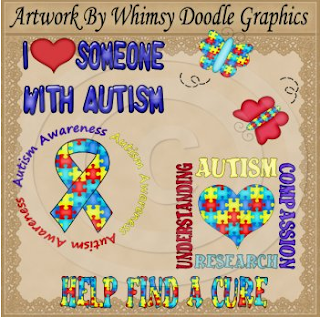 They are currently offering a FREE Autism Clipart Set. Look at how cute these graphics are! As a special education teacher, how could I have not fallen in love? So right now, I'm keeping all my fingers and toes crossed that I get to be the lucky winner! The majority of my students are struggling readers. For the most part, their main difficulties are decoding and phonics. Several of my students were having a hard time reading CVCe words with the silent E on the end. Vowel sounds that are changed due to adding an 'e' at the end are really tricky for my students, such as the words rat and rate or not and note. Oh my poor students get so tripped on these words and whether they should use the short vowel sound or the long vowel sound. 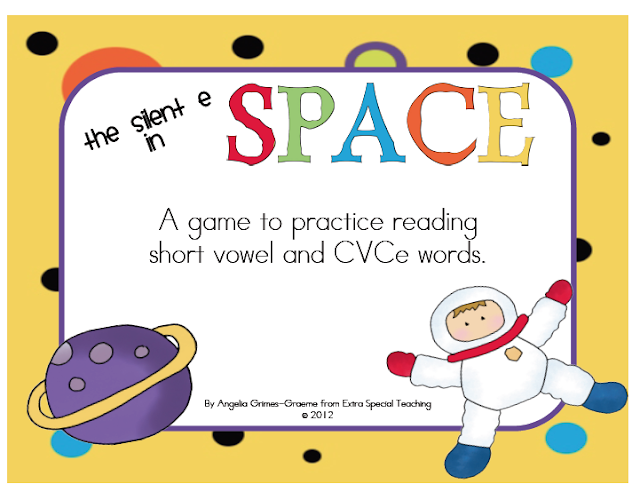 To help them get more practice with these types of words and reinforce the CVCe rule, I made The Silent E in Space game. It contains all sorts of words like cap and cape, so students have to really look at the word and concentrate. Not to mention......who doesn't love a good game to play? Click on the picture below to purchase your own copy of The Silent E in Space. I'm so excited to post about this great giveaway being hosted by Fun in First Grade. If you haven't check out her blog, you must go there now by clicking below. I've personally bought and used her Reading Supplement Packs for March. They made a great edition to supplement my reading instruction. Even though, I teach special education students (mostly 3rd graders) they still benefited from these packets. They were the perfect length that I could use them for those times when the schedule changed (which happens constantly it seems like), and my student definitely need help building their vocabulary. Anyway, back to the giveaway business........Fun in First has teamed up with Scrappin Doodles. If you've never been to Scrappin Doodles, go check them out now (and then come back to finish reading this post). 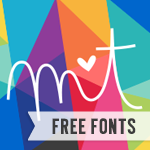 OMgosh.....their graphics are adorable and fabulously priced! Did you check out their Dollar Deals? Let's just say that I really hope I get picked as the winner of this giveaway. If nothing else, it was fun to do my very first post about a giveaway. Wow, learning how to be a blogger is A LOT of work and learning. This is supposed to be my long-awaited spring break. You know the break where I lounged on the beach all day and did nothing? Well, I have managed to lounge around all day....but not quite on the beach. It was windy and overcast, and I had a doctors appointment right in the middle of the afternoon. So instead I lounged on the sofa, made this sort, and figured out how to post it on the blog. 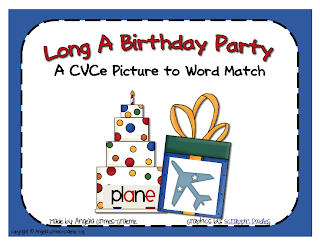 I was inspired by Differentiation Station's OR Word and Picture Match. When she mentioned that word sorts do not require her students to really use their decoding skills, I got to thinking about my own students and agreed. Some of my students are struggling with CVCe patterns, so I created this to help practice with the a_e pattern. 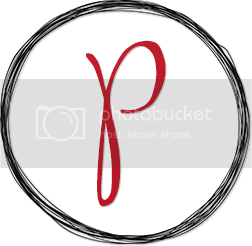 As my first real post in blog land, I hope it all works, and someone can find it useful! 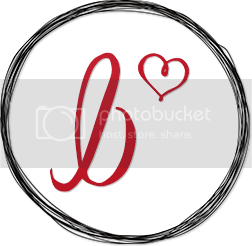 I've been blog stalking some FABULOUS blogs the last few months. So many great teachers have shared so many great resources and ideas, and I have been blown away by their creativity and generosity. I'm finishing up my first year of teaching special education in a resource room, and I have so much to learn. However, I hope that I have a few things I could share with others. 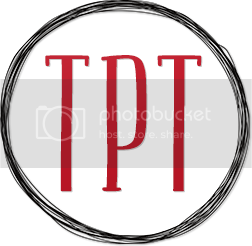 Since there's not many special education blogs out there (PLEASE direct me to any that you find) maybe some other special education teachers will find this blog and be inspired. Aloha! I teach special education in a resource room setting for 2nd graders in Hawaii. Most of my students have specific learning disabilities (SLD), but I also see students that are diagnosed with autism, traumatic brain injury, emotionally handicapped, and intellectual disabilities. I'm starting my fifth year teaching, and I've learned that I have A LOT more to learn!!! I'm also the lucky mom and wife to a fabulous family. I have a 19-year-old daughter, 16-year-old daughter, and 8-year-old triplets. Yes, that is correct.....triplets. Our house is loud, chaotic, drama-filled, and messy! There is rarely a moment where something ridiculous isn't happening. My 19-year-old is attending college (where has the time gone? ), my 16-year-old is a junior (how is it possible? ), and the triplets are in third grade this year at my school (how did they get so big?). My husband is a Marine, who helps keep the chaos of our family somewhat under control. Thanks for stopping by my blog. 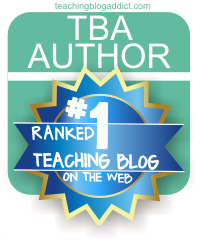 I love that blogging allows us all to collaborate together, share resources, and grow as teachers.